Standing in the stone forest at Shilin in China’s Yunnan Province. 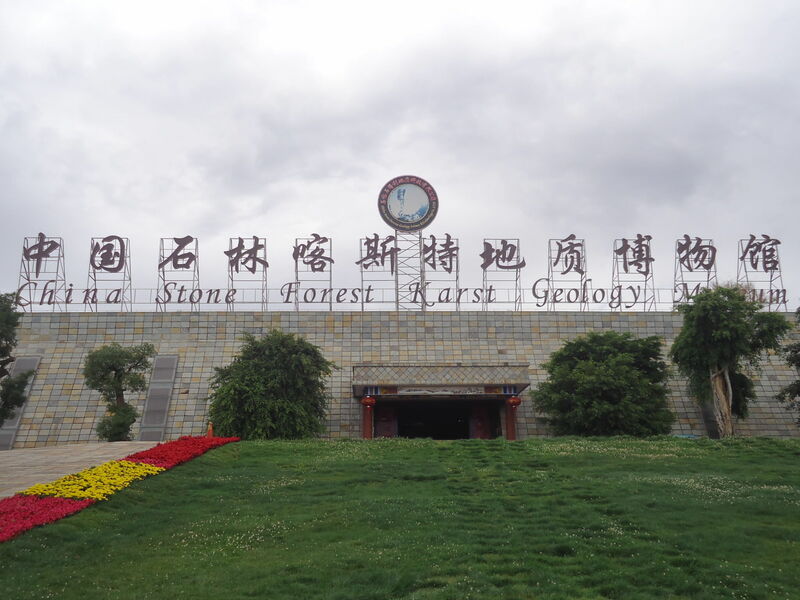 A visit to Shiling Stone Forest in China’s Yunnan Province is well worth a trip. This place became a UNESCO World Heritage Site in 2007 and has a thriving tourist economy. The downside is the cost of getting there, the up side is you get to see a forest comprised of fantastic rock formations. Go with your nomadic heart and make the trip out to it, like I did just 2 days ago! The lake at the entrance point to the Stone Forest in Shilin, China. It’s a really decent day trip to do from Kunming, so I’d have to recommend staying in Kunming and doing it in a day. Yes, you can stay at Shilin but it’s more pricey and the Stone Forest will occupy a day of your time at most. You can get it over and done with in a matter of hours, however the buses to and from Kunming take between 1 and a half and 2 hours each way. 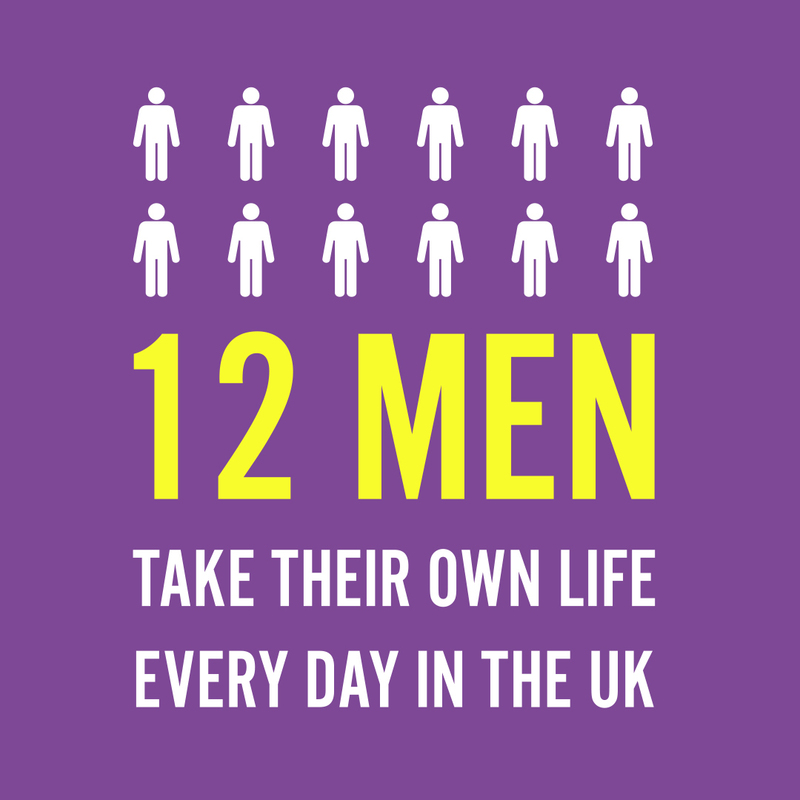 So factor that into your journey. 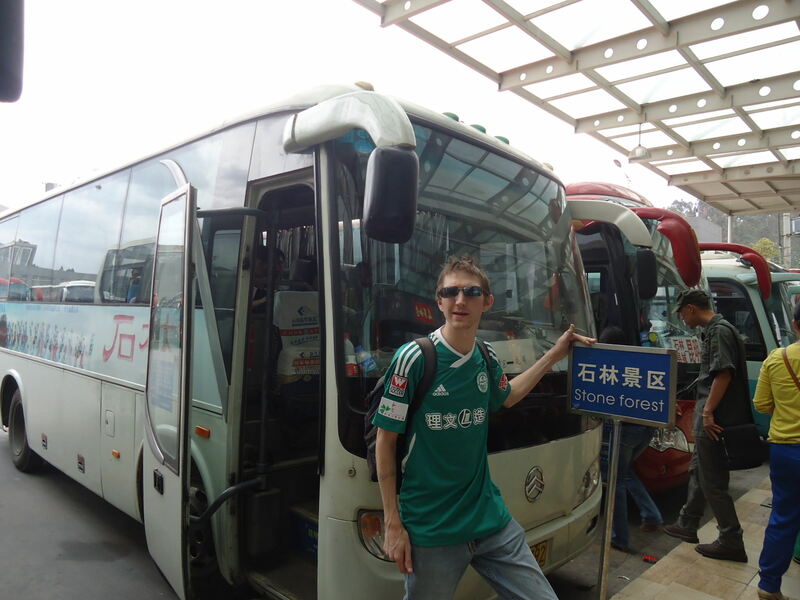 Boarding my bus in Kunming for the Stone Forest at Shilin, China. 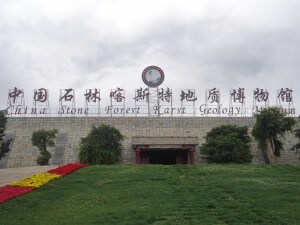 From Kunming East bus station get yourself on a bus to the Stone Forest. It will not be written in English anywhere until you reach the sign in front of the bus. 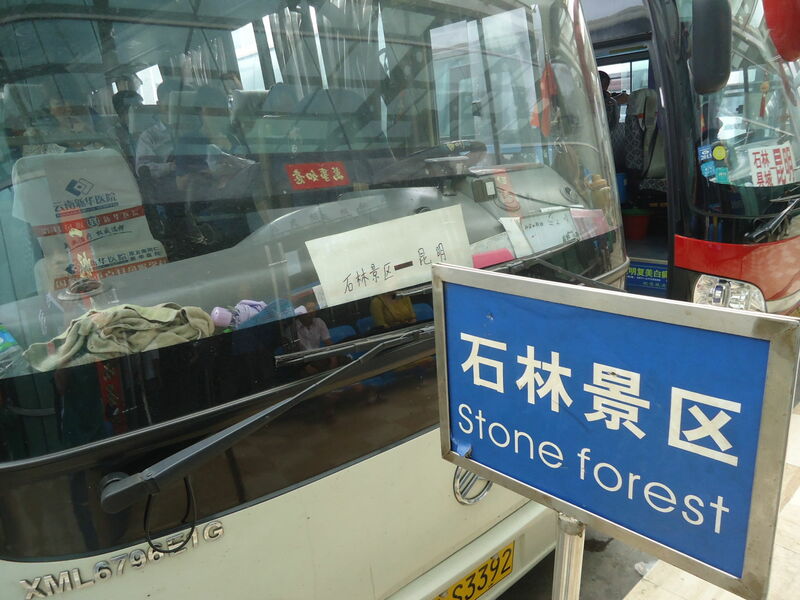 Buying a ticket in Kunming is hardly straight forward but you’ll get there…make sure you have Stone Forest Shilin written down in Chinese. 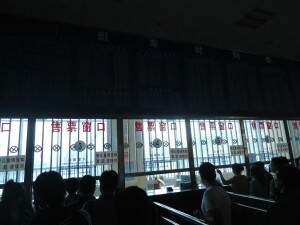 So to get there you need to have the writing in Chinese for it and show that when buying your bus ticket, or else speak decent Mandarin Chinese. As with most of my China trips, I was with my Chinese girlfriend, so it was easy for me. The only sign you will see in English is the one in front of the bus – well at least you know you’re on the right bus. The bus journey costs 27 RMB, but they try to add on an extra 1 RMB for insurance. 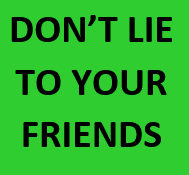 Do your best to avoid paying the insurance. 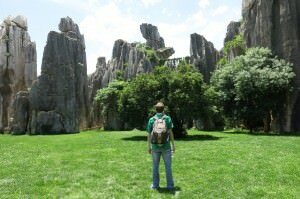 Just buy single tickets there and back – they depart pretty regularly and go straight from Kunming East to the Stone Forest entrance. What is Shilin Stone Forest? 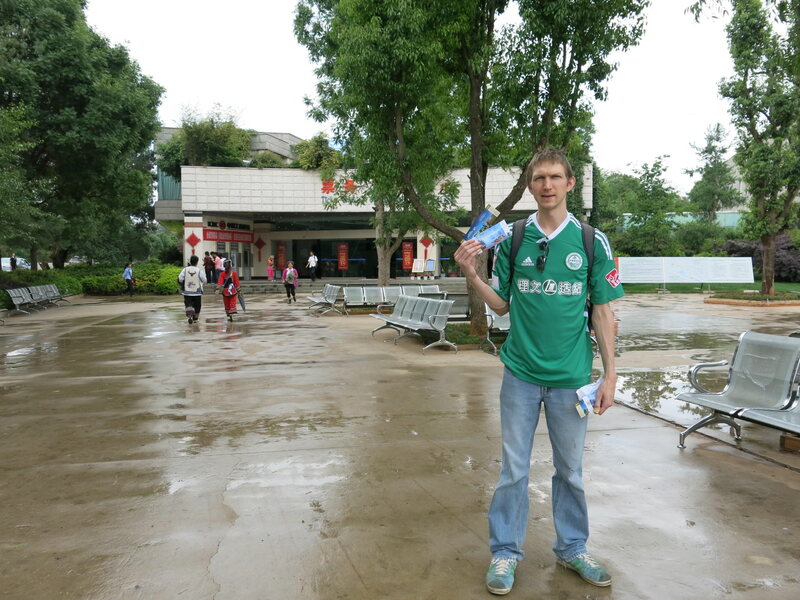 With my tickets at the entrance to the Stone Forest in Shilin, China. How much does it cost to visit Shilin Stone Forest? OK once you’ve arrived by bus from Kunming (or elsewhere), you’ll be shocked to hear of the price to entrance the site at Shilin. It’s 175 RMB (Chinese Yuan). That’s just for the ticket and you can buy that and walk on down to the entrance no problem. However if you want to get the motorised cart to the entrance and back it’s an extra 25 RMB. And yes they do check the tickets. 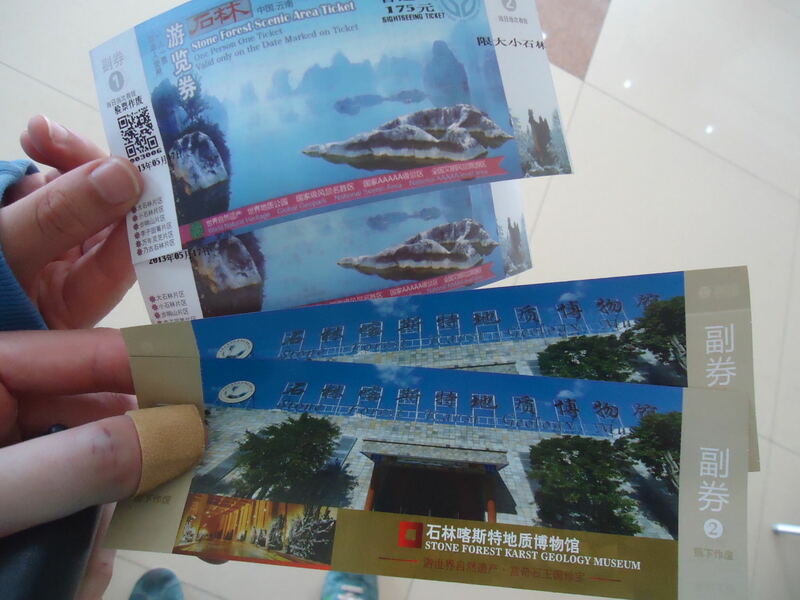 Our double tickets for visiting the Stone Forest in Shilin, one for the entrance itself, the other for the motorised cart. Total of 200 RMB per person. Ouch! We were in a rush the day we went so had no option but to get the motorised cart, which is an extra 25 RMB. While it pained me to pay it, at the end of the day it’s only £2.50 sterling, and I’ve paid more for a beer in a pub over years…if you walk it, I’d say it won’t take longer than 20 – 25 minutes to the win entrance. The motorised cart also takes you around the site quicker, if you want to relax with the wind in your face for 20 minutes as well you can. 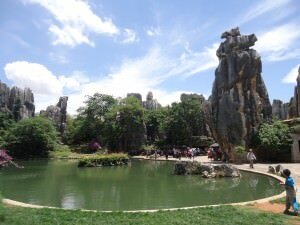 What are the main sights at Shilin Stone Forest? If you’re big into rock formations, then you’ll marvel at the different shapes of the rocks – there are some special ones to check out including an “elephant”. Ridiculously every rock has a name. 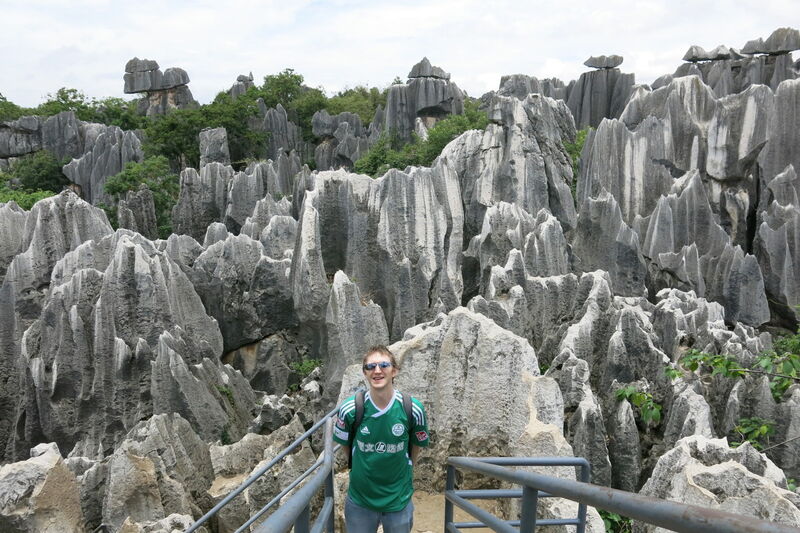 Backpacking up to the top of the viewing platform for a view over the “Stone Forest”. For me the best part was walking up the steps to the viewing platform near the centre of the Stone Forest. This offers a great view of the “forest”. On route we also passed by the “heart” or the centre point of the stone forest. You’re supposed to touch it for luck, according to the Chinese, so I did. Touching the “heart” of the Stone Forest – a sacred stone in the middle of the forest. The Lotus Pond, the mini Forest and the circle tour (on motorised cart) were the other things we did. I did really enjoy it, but unless you’re massively into rocks, I wouldn’t recommend spending longer than 6 hours here in total, just my opinion. There is also a museum you can visit inside the grounds. There is also a museum, which we didn’t actually go into – yes I know we paid and shoulg have done, but these days I don’t go to places just for the sake of it. Neither myself or my girlfriend were particularly interested in the museum part. Loving the view of the Stone Forest from the viewing platform. How long should you spend at Shilin Stone Forest? Backpacking to the Stone Forest in Shilin, Yunnan Province, China. 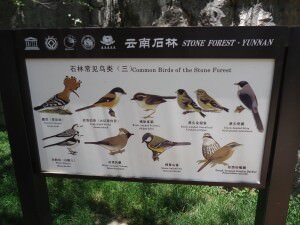 What else can you do at Shilin Stone Forest? Eat. There are a few restaurants and the only other real option is eating. It will cost more than in Kunming. China’s tourism agencies seem to have gotten wise to the fact that these are popular tourist sites and as a result, the prices have gone up. 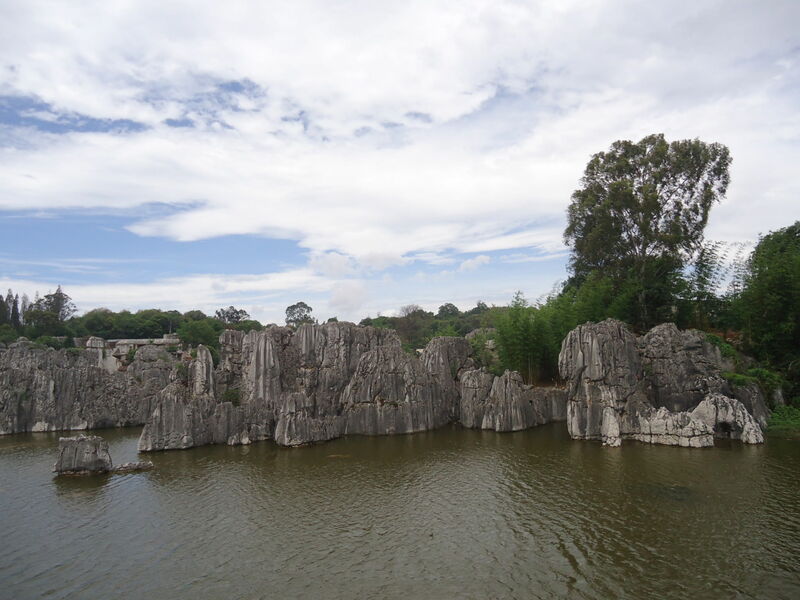 This photo is a pond at the “Minor Stone Forest” which is on the edge of the main Stone Forest. Birdwatching. Apparently there are a load of cool birds to be seen. 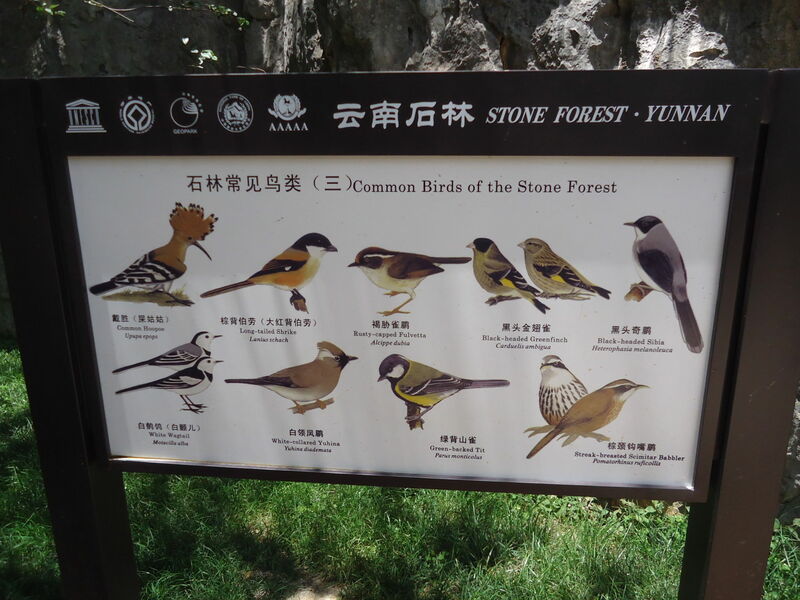 You can also go bird watching in and around the Stone Forest. 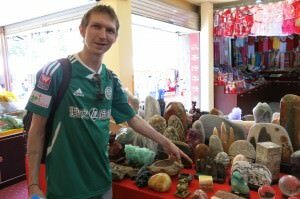 You can also buy all sorts of souvenirs including stones and gems. I didn’t buy any souvenirs but I did have a look at the gems and stones available. Don’t buy Coke, water or souvenirs inside the park itself. Just outside things are half price. A Coke was 10RMB inside, so we avoided it and bought a bottle outside for 5RMB. 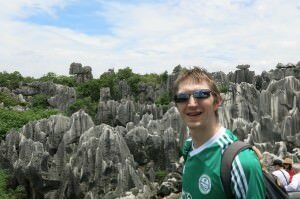 Take suncream and rain protection in your backpack as this area is exposed – there are no mountains in or around the stone forest at Shilin. 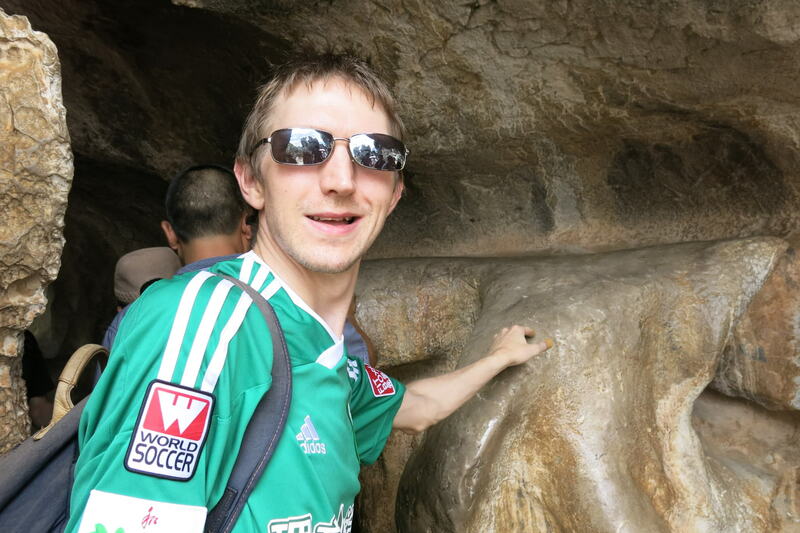 This entry was posted in Asia, China, Destinations, Kunming, Shilin, Yunnan. Bookmark the permalink. Shilin really is something special, and for me too, completely unlike anything I’ve seen anywhere else. When I travelled in China, I could speak and understand a little Mandarin (enough to buy bus tickets, ask for directions, order food etc. ), but I couldn’t read anything. It was a very strange situation to be in; verbal but illiterate! Kinda like being a baby again! 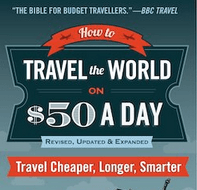 Travelling with a native speaker must make it so much easier! Thanks for the information about getting there by bus, heading there tomorrow and couldn’t find very updated information on the price. Hope it hasn’t gone up by now! 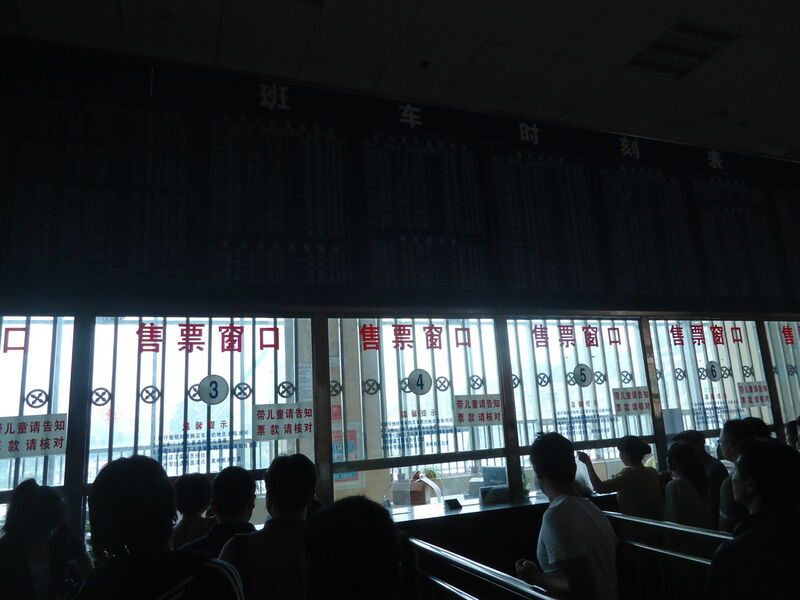 Can I buy the return ticket at the East Coach Station in Kunming or I have to buy it on the way back? Thank you so much.